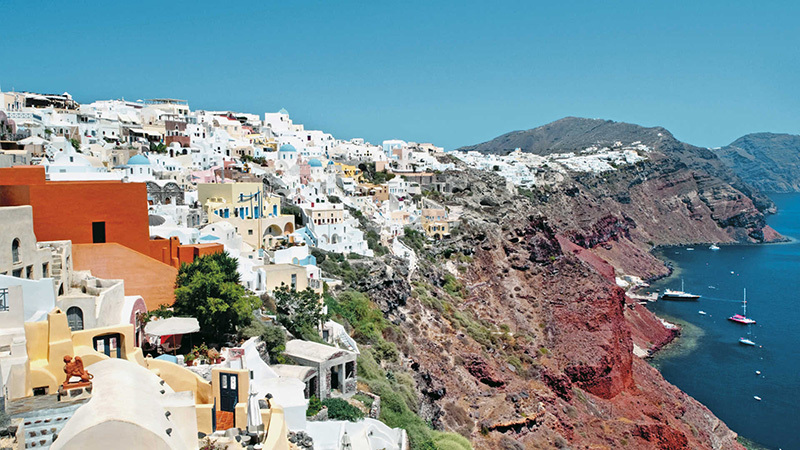 Santorini island is one of the ultimate getaway choices for a number of reasons. This small Cycladic island has beautiful and breathtaking views, stunning colorful beaches, traditional villages and an amazing architecture. 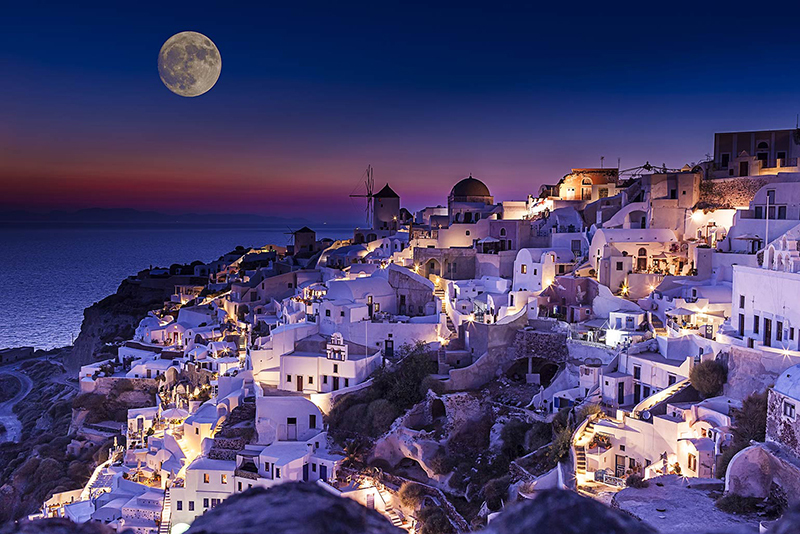 Santorini (Greece) offers a thousand sunsets and a thousand memories to every visitor who travels from all over the world to watch the setting sun under the violet sky. Poets have written about it, painters have attempted to capture the blue, the red and the gold. Nothing can quite describe the dark and unique magic of this Greek steep island with the unusual volcanic rock formations and the pumice stone. Santorini bewitches every visitor. While visiting the island, Dimitris and Veroniki can show you everything it has to offer. Omega Travel is a relatively young company, but this factor is not discouraging. They have years of travel experience and a passion for sharing Santorini’s culture. Omega Travel is a fully licensed travel company and its mission is to provide the best tours to everyone who plans a trip to the island. Its services begin before you arrive at the island. They can help you find the best private villas in Santorini for your accommodation and schedule your transfer from Santorini airport or port. They will treat you like a VIP. Wine tour: Wine lovers, you must know that your vacation has brought you to the wine paradise, where some of the rarest grape varieties are grown: Katsano, Gaidouria, Mavrotrogano and Assyrtiko. Our wine tour introduces you to the unique vineyards of Santorini and the outstanding varieties of wine it has to offer. Food tour: Explore a world of unique cuisine with a guided tour of Santorini’s best fare. Our local guide will take you to the less-known places where traditional recipes and family secrets continue to be passed down through each generation. 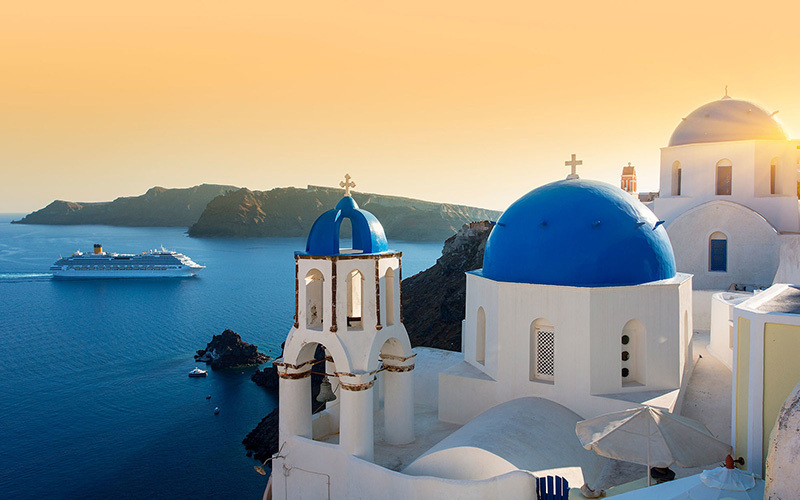 Luxury Sailing tour: Whether you’re only visiting Santorini for a day or planning on staying a bit longer, sailing around the island is a must. In fact, the only way to see such magnificent places as Red Beach, White Beach, the volcano and the hot springs is to navigate a trip by sea. 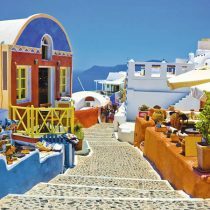 Volcano sunset and hot spring trip: During your stay on the island, you must take advantage of a Santorini volcano tour. Enjoy a 6-hour tour, by sea and land, to visit the volcano and experience the many other wonders this unique place has to offer. Explore Santorini in horseback: If riding over unique terrain with the wind in your hair and the sweet aroma of the Aegean Sea all around, then we have just what you need. Whether you are an experienced equestrian or a novice horse enthusiast, we have three different excursions for you!